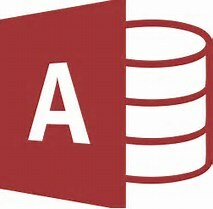 If you’re looking for really great Microsoft Access VBA training you’re in the right place. Companies large and small choose us – why? Your own tailored, Microsoft Access VBA training course, at your own premises at the same price as a standard course from elsewhere. When working with a Microsoft Access database becomes repetitive, it makes sense to create a macro to automate the task. Whilst you can use built-in wizards to create simple macros, if you want to create complex macros in Microsoft Access then using VBA (Visual Basic for Applications) will enable you to program your own. This course is designed to teach you how. We provide Access VBA training at your offices in Heathrow and all surrounding areas. Prices are PER DAY, and NOT per-person! E.g. if there’s 5 people on the course, you pay £795. All prices exclude VAT. Please note this is a two day course.